Study at the bachelor’s, master’s, or doctoral level. Experience life on campus while studying residentially or enjoy the flexibility that comes with online classes. Either way, Liberty will help you pursue your passion for ministry. With more than 90 areas of study, the Rawlings School of Divinity lets you customize your degree so it matches your calling. Through our degree programs, you’ll also be able to gain real-world experience through internships in local churches and parachurch organizations all over America and the world. 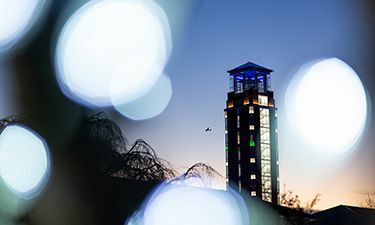 The 275-foot-tall Freedom Tower and the large, three-story building encircling its base is home to the Rawlings School of Divinity, the world’s largest school for religious studies and ministerial training. 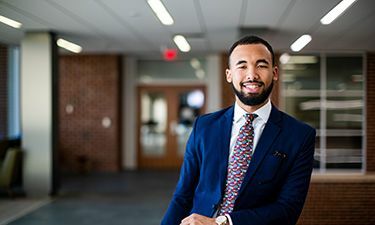 A Member of the Association of Theological Schools, the School of Divinity stands on a solid, biblically based foundation and a firm commitment to conservative evangelical theology. Gain the skills you’ll need to engage today’s culture with the Gospel, and impact the world for God’s kingdom. Our renowned faculty brings years of research and publishing, ministry, cultural influence, and leadership to the classroom. Courses are designed to cultivate authentic faith, Christlike character, and professional excellence. Through our years of experience, you’ll get the sound, Bible-based teaching you need so you can graduate fully prepared for your ministry. There are currently no important dates scheduled.